Below are some other local events that may be of interest to seed savers members, including an organics talk, native seed workshop, food swaps and farm gate sales. Cyan and Martin from Bunyip Hollow, are sponsoring Allan “Swampy” Marsh to come up from the south coast to give a talk on his views on organics and life in general. For those of you who do not know of Swampy he is the man who arranged for Maremma dogs to be put on Middle Island in Warrnambool to guard the little penguins. Here is a link to a catalyst interview in 2013 http://www.abc.net.au/catalyst/stories/3708340.htm. A film on his ventures is being released this year starring Shane Jacobson titled Oddball. Swampy is passionate about making organic production attainable for small producers and has set up Visionary Organics – an independent farmer led certification system. He also has strong views on this such as raw milk. 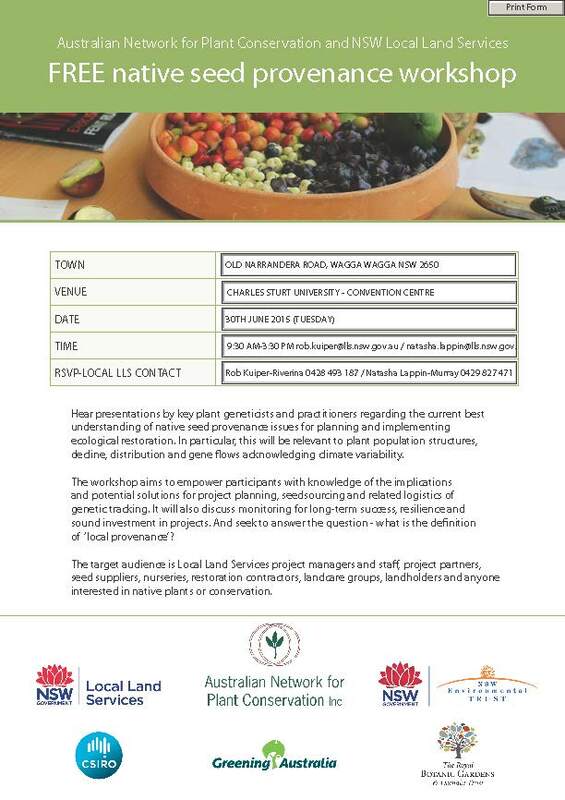 Murray LLS is partnering with Riverina LLS and the Australian Network for Plant Conservation to provide a free workshop in Wagga on the latest thinking on native provenance of seed. Hear presentations by key plant geneticists and practitioners regarding the current best understanding of native seed provenance issues for planning and implementing ecological restoration. In particular, this will be relevant to plant population structures, decline, distribution and gene flows acknowledging climate variability. Have you got excess produce to share or trade? Food swaps are a great way to not only share but also meet other locals who grow and cook! For example, Table Top Community Food & Book Swap – Thursday 11 June, 6-7 pm and Yackandandah Community Food Swap – Saturday 20 June, 9:30-11 am. Did you know that the National Environment Centre’s organic farm now offers ‘farm gate sales’ most Thursday afternoons? 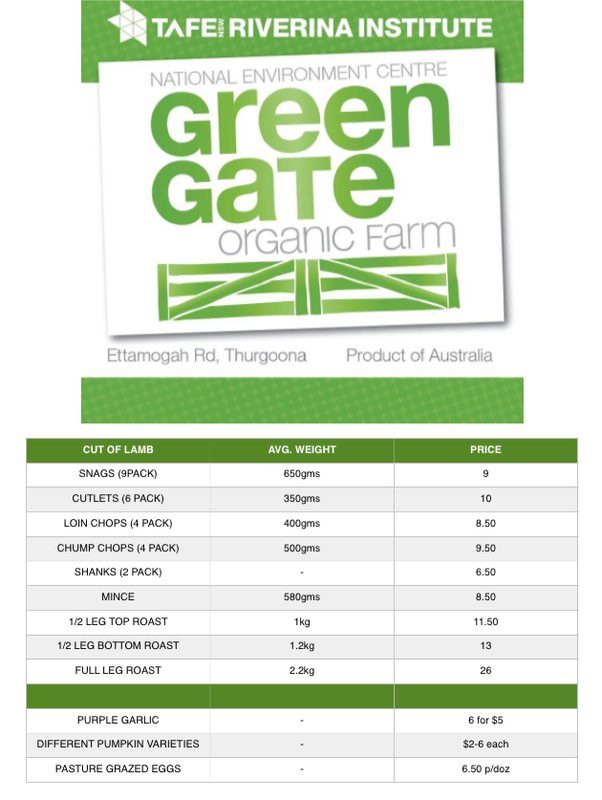 Recent offerings have included lamb, pork, eggs, seasonal veg, olives, garlic, honey and more. For more local event listings, see Ecoportal.net.au. We welcome your suggestions for future inclusions in this round up – feel free to contact us with the details or leave a comment below. This entry was posted in Upcoming events and tagged farm gate sales, food swaps, native seed, organic by Seed Savers Albury-Wodonga. Bookmark the permalink.